The pressure and stress of being in a busy competition yard or in training may cause a horse to become withdrawn, lose its appetite and with it the attitude to win. 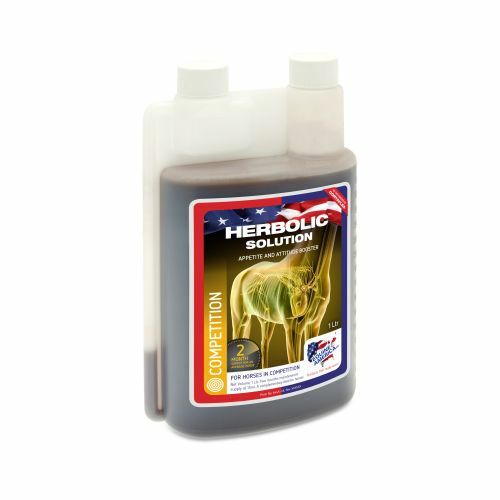 Herbolic contains ingredients to provide an 'attitude boost' and improve appetite, making the horse feel good and full of energy, producing a horse fit for competition. It is a powerful, fast acting herbal supplement for horses needing to achieve their highest performance level. A bottle of Herbolic will be an added benefit to any racing or top level competition yard.